The next big question becomes: Which ones should I visit? Which wineries offer the kind of wines & experience that I personally like? I dislike the thought of having to rely on generic reviews from other people, who might have totally different preferences than mine. But at the same time, I can't possibly visit each and every wineries, to actually rate and rank them out, for obvious reason: limited time. Honestly, I would have given up and followed online reviews. But thanks to this new Australian startup, Twenty Five Doors, now I can actually personalise my own wine cellar itineraries and gain exclusive access to premium wine cellar experiences that are traditionally offered only to the wine clubs members. All that convenience, without having to commit or bound to just one wine club! Nobody likes the stress of Google-ing tons of wineries, or scouring through millions of online reviews from 'experts', only to end up having to queue for a rushed wine tasting experience with sales staff whose only intent is to let you sample what they think you might buy. Am I right? That, unfortunately, happened to me when I first visited Hunter Valley last summer. I had rather unpleasant experience, that I actually felt the whole wine tourism thing was perhaps overrated. Luckily, Twenty Five Doors, a brand new online platform, is finally here to change the way people discover wine (Cheers to that!). Won't it be amazing to have a private tasting session with the winemakers themselves? 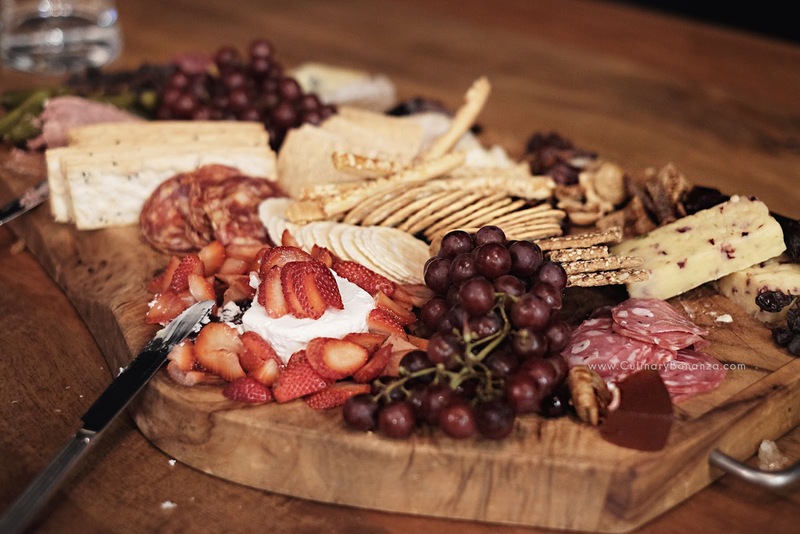 Or to enjoy such an elaborate cheese and cold cut board with the premium wines, reserved just for Twenty Five Doors members? Access to free & personalised, self-guided itinerary of the wine region that you are visiting, just like having a wine expert best friend who gives you the perfect recommendation of places that you'll actually love! 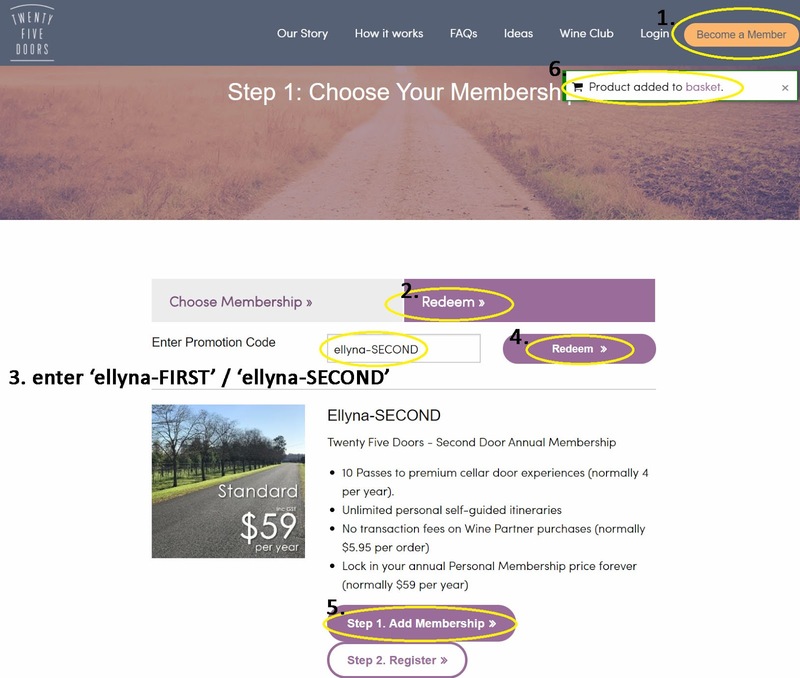 Unless you're a member of the winery's wine club (which charges membership fee or have minimum purchase commitments that will set you back hundreds of $$$), you'll only gain access as far as the sales counter is. But with Twenty Five Doors, the members can gain access to the finer hospitality experiences personalised by the winemakers themselves. Talk about premium experience here! How can you possibly pick just one winery? I can't. You might like just the shiraz from X winery, but you like the moscato from the other winery. Twenty Five Doors solves this dillemma by giving you exclusive wine cellar experience that wine club members enjoy, without having to commit to just 1 winery. - Limited to only 125 persons, until sold out. - Membership is transferable, what better legacy to inherit to your child(ren) or grandchild(ren) right? - Limited to 2,500 members only, available until 31st December 2017. - Fixed lifetime annual membership price. No price increase even 25 or 100 years later! Get $10 off, for a lifetime! 6. Click 'basket' to checkout and the $10 discount or the 5 additional premium experiences will be added to your order. Visit www.twentyfivedoors.com for more details, FAQs, Terms & Conditions. Great post! Love this idea. Good pictures too, Enjoyed reading.